I just felt the need to clean out my makeup case. Never mind that we have to leave the house in half an hour. We grew up in a family whose love language was gifts. Therefore, whenever I feel the need to purge, she is right there with me, encouraging me. When she purges, she brings it to my house, but that’s a story for another time. As I sit here scraping years of makeup gunk from the bottom of the storage box I have (for those who know me, you are correct in assuming that the box is rather large–I am not a lipstick chicken! ), I wonder at scraping the gunk from my soul. Do I purge there when I need to? I just tossed dibs and dabs of my favorite eye makeup of yesteryear. Do I take stock of where I am in my spiritual walk and throw away the old dibs and dabs of self-doubt that I used to enjoy clinging to? I threw away the eye liners that were so short they could not even be sharpened again. Do I toss out pieces of me that are ineffective and not as spiritually sharp as they should be? I let go of mascara that is so old they no longer make it. Do I let go of old hurts and habits in favor of new and more soul-pleasing ones? I hope I can make changes in me that will not leave me with a gunky mess at the bottom of my soul. I hope I can start fresh and clean, leaving the guilt and pain of the past, the bad habits and sinful ways. I get a sense of accomplishment and maybe even a little joy when I get cleaning jobs done. I pray that I feel the same with my eternal cleaning plan–now and always. I was just cutting a watermelon in my kitchen. As I cut the first slice, I snitched a piece. It was…okay. Hmm…maybe the next watermelon will be sweeter. It’s early in the season yet. But…as I learned as a child…waste not, want not. So, I kept cutting. Inevitably (for me, at least…perhaps you have more willpower), I snitched another piece farther into the watermelon. Remember another old saying…don’t judge a book by its cover? I was introduced to a friend’s husband recently in this way: This is Liz. Remember, she is the one I told you about, the widow who homeschools her four sons? Now, I’m not poking at this dear friend — love her to pieces! And all she said is true…that is my reality, and consumes a large part of my waking hours. Another old saying…peel an onion, there are a lot of layers. Who am I down in my core, the part that only God sees? I guess maybe I see a difference between my reality and what defines me…maybe I am only seeing that difference as I write this post. I am a child of the King. I struggle, I fail, I fall, I get up. But I love God and He loves me, and that is enough. It does not give me permission to quit, but it does give me grace when I fail. And that grace is…incredibly sweet! 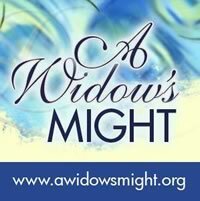 So I will continue to operate in my reality of widowhood — a reality that is not always sweet but can be just okay; a reality that people see and will define me by whether I am only that or not. And I will pray for the opportunity to show them the inner me…the me forever touched by grace.